None of these ideas are unfamiliar having been a motor racing nut since as far back as my memory will stretch. 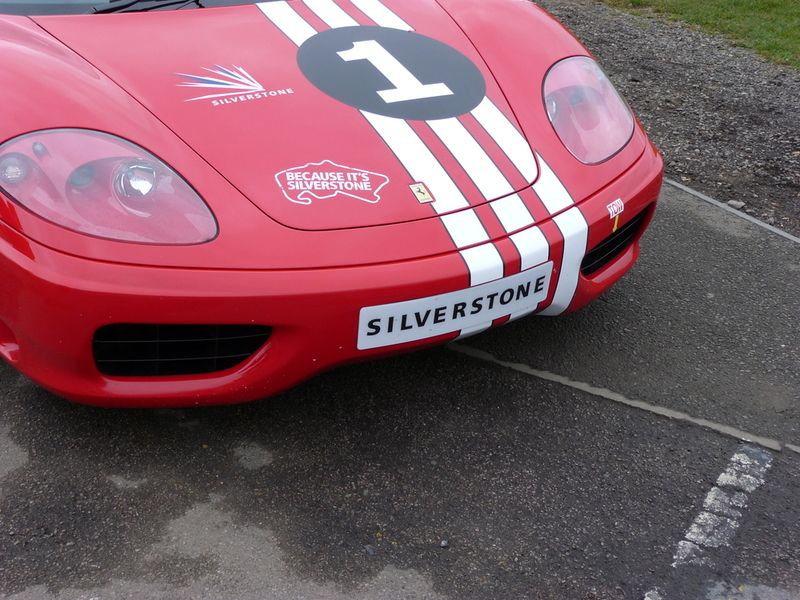 Silverstone has been the home of the F1 British Grand Prix for even longer, so naturally it’s the location of choice for a first taste of driving a supercar. My own road car – a Toyota Yaris – is classed as a supermini, but a prefix is the only similarity I expect to find between it and the Ferrari 360 Modena. Indeed, having never come close to exploring the limits of the Yaris’ connection with the road, the idea of a 400bhp car struggling for grip under my right foot only adds to the nerves. But they’re nerves of excitement, not fear. Arriving early and getting the opportunity to watch the cars out on the circuit – as well as seeing the smiles of delight as people return from their three lap runs – only heightens the anticipation further. The cockpit is surprisingly spacious but very low; there’s a definite technique to getting in and out gracefully, and I’m grateful for the helmet after a couple of bumps to the head on the roll cage. Once settled there’s a whirlwind introduction to the inside of the car – the space to rest the left foot, the position of the gear paddles, how to unfasten the five point seatbelt, and saying hello to the man who’ll be in the passenger seat for all six miles. Every mirror is angled for the instructor, leaving me to ‘just’ focus on seeing what’s in front and driving each corner properly. First, though, is the small matter of leaving the waiting area. It feels disrespectful putting a machine designed for such swift forward motion into reverse gear, especially for a trivial manoeuvre better suited to a supermarket car park, but we’re soon staring down the infield road at the inviting tarmac of the circuit. The engine burbles and murmurs in mechanical birdsong as I get a feel for the gear changes and an idea of what the accelerator may be capable of. Feeding onto the circuit, suddenly the full majesty of the racetrack presents itself and the twitter becomes a roar. No matter how many books you might have read, races you might have watched, or video games you might have played, there’s no substitute for actually being here. It doesn’t matter how well you know the circuit either; the track is 15m wide and looks totally different from the driver’s seat. Speed suddenly has no context; big distances are covered in moments, and with no cones to indicate braking points, instruction comes from the passenger seat. At the point of turn in there’s surely no way the car has slowed enough, but with the slightest of squirms as the rear wheels seek something to cling on to we head onto the first straight. Too many years of trying to drive economically help me believe I’m pressing the accelerator more than is actually the case. 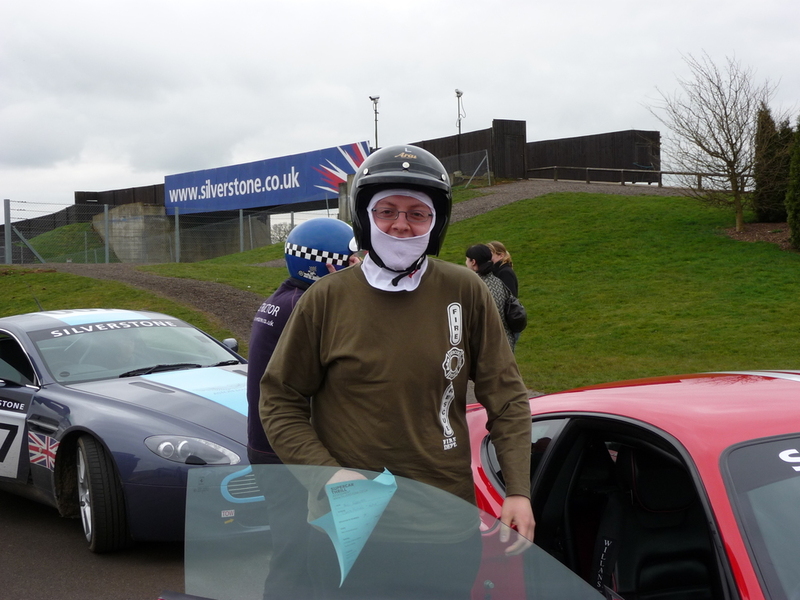 The noise with the pedal closer to the floor is astonishing and brilliant – bearing down on the chicane and desperate to savour both the sound and the acceleration, I’m only half hearing the instructor, but again we make it round, and again he tells me to go for it. Sweeping onto the longest straight at the end of the lap, finally the gear display gets to show a ‘6’. Changing from fifth during full acceleration is like being pushed in the back while running – somehow you go even quicker. The joy of driving this car in this environment is overwhelming, but no sooner do you start growing accustomed to the feeling than the next corner, and the second lap, is upon you. Laps two and three are equally exhilarating, each time striving to improve on the one before. Perhaps the greatest challenge is mental: the concentration required is surprising, and gives a real appreciation of the demands of genuine racing. No major dramas occur – the car is dramatic enough, especially to a novice – though it turns out pressing the windscreen washer control instead of the ‘gear up’ paddle is easily done (twice!). It’s all over so quickly, and faced with the prospect of leaving it’s tempting to wait around in case an opportunity somehow arises to do it all again. Passing the empty grandstands on the way to the exit makes you crave the atmosphere and excitement of a big event, a Grand Prix weekend. After the last hour, though, you no longer feel like just a spectator. You feel like something more – something better – because when the buzz finally wears off, nothing can replace the thrill of having been on track in a thoroughbred supercar.